I couldn’t ping the keyserver wwwkeys.pgp.net. So I used hkp://keys.gnupg.net. but I was then able to start Scribus. Help->About shows Scribus 1.4.1.svn. It might be nice to get 1.4.3! Followed the instructions above and got 1.4.1svn … 1.4.3 wold be nice. W: Fehlschlag beim Holen von http://debian.scribus.net/debian/dists/precise/Release Erwarteter Eintrag »non-free/source/Sources« konnte in Release-Datei nicht gefunden werden (falscher Eintrag in sources.list oder missgebildete Datei). How do I get 1.4.3? 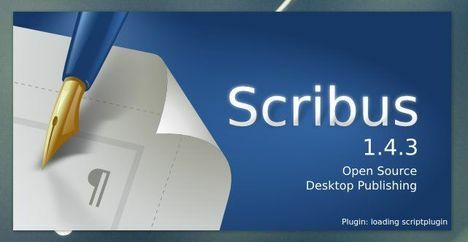 It’s Scribus 1.4.2, the one available in Ubuntu’s default repositories. BTW: ubuntu-14.04-desktop-i386 means 32-bit. It should be x86_64 or 64-bit system. So pray tell, why did you leave this information until the end of the article, & as this article is now out of date & the information is now incorrect, why have you not removed it?